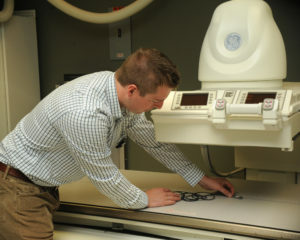 Keeping up on state radiation control rules, requirements for shielding plans and what you need to know for ultrasound inspections or MRI inspections, for example, can be challenging. At ISS, Inc., we’re here to help. Please contact our medical imaging consultants team with any questions or for your general radiography advice needs. Patient Exposures in CT Exams, White Paper, Stephen Hale, Jr.,Ph.D. We welcome you to receive news and updates from our team at ISS, Physics, Inc. We’re here to serve.